There are approximately 193 casinos located on land in the country of France, in addition to the casinos that are available to the French online. The types of gambling in France include betting on Horses and Dogs as well as casino style gambling and French poker games. Our guide has complete lists of every casino in France and includes horse racing in France, dog racing in France and other pari-mutuel activities if applicable. The following casino sites are not likely to be licensed by the French Government, given the fact that that particular Government, regardless of the EU laws regarding gambling and fair trade does not issue license to casinos operating online. Slotland Casino offers casino apps that are available all over the world for users of iPad, iPhone, Android and Blackberry mobile devices. Gambling on the internet became legal in April of 2010 when the French Parliament passed a bill that legalized ‘circle games’ meaning poker type games played against other live players, not played against the casino, sports betting in France, and betting on Pari Mutuel events, such as horse and dog races. Unfortunately for French slots players, online casino style games are specifically prohibited in France. There are land-based casinos in France that offer legal blackjack play. 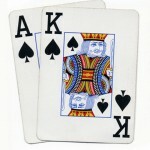 There are also online casinos that offer the game of blackjack to players in France, even in the French language, however, what you won’t find are online casinos that are licensed by the French Government offering online casino games like Blackjack, known to the French of course as vingt et un.This is because these particular games of chance were excluded in 2010 when France began to license online casinos. The same goes for online slots games, and pretty much any casino gambling game that is played against the house in an online casino environment. As we mentioned above, the exceptions are sports-betting, race betting, and poker played against other live poker players which the French refer to as ‘circle gaming’. 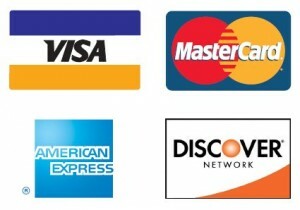 The following casinos are available in the French language, and most offer customer service in the French language; however, they do not necessarily allow casino gambling from people that are connecting to the internet using a French IP. Even the legal gambling included within the resolution did included some stipulation; the bill requires that online poker players and sports bettors from France gamble only at online entities that are legally licensed and taxed by the Government of France. These changes were officially made into law on April 6th 2010. Another new change actually including ISP blocking any poker or other gambling websites that do not end in a .fr extension. For instance, French poker players can play at Slotland.fr but not at PokerStars.com. A logical, yet not so popular step that the Government made was to tax poker revenue. Casino sites that allow poker players from France to play real money poker games on using their software are subject to a 2% tax on all cash game pots, and 2% on each tournament buy-in. Bets made on sports and racing come with a 7.5% tax. Some of these online poker sites cover all or a portion of that tax for their players, and others raised their rake accordingly passing the tax back to their players from France. Since 1987 the legal gambling age for people gambling within France has been 18. Prior to that, the minimum legal gambling age in France was 21.